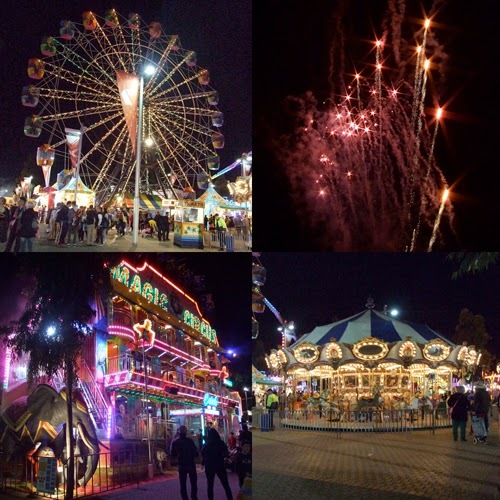 Recently the boys and I visited the Royal Adelaide Show. 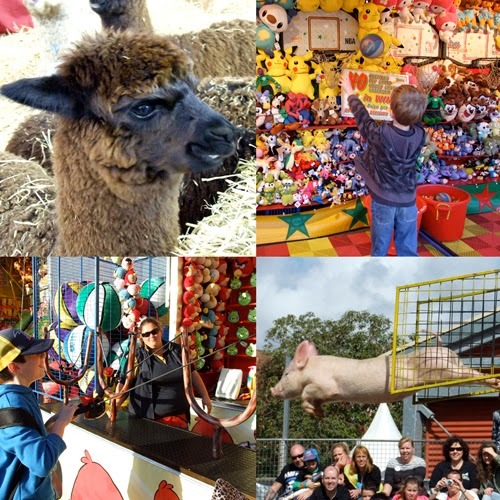 It is held each year in early September at the showgrounds next to the city. I have been going since I was a child and we have taken our kids for the last seven years. 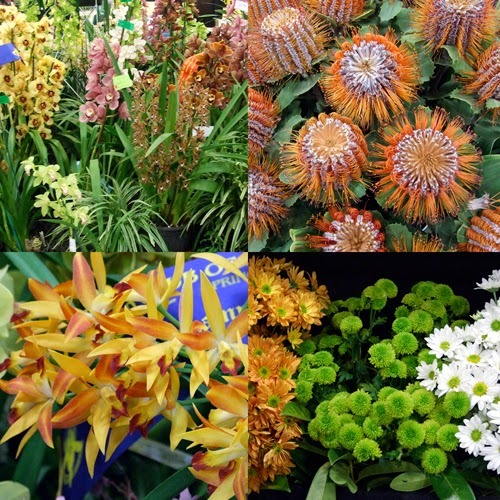 This year I went the day before for a few hours with Gerrie, my aunt, just so we could have a look around at things we were interested in without the kids becoming impatient. Gerrie and I went to the CWA (country Women's Association) cafe this year for tea and scones, something I have been wanting to do for years. I have faint memories of coming into the cafe as a child with my mother and grandmother. The scones were delicious. The boys enjoyed the side shows and we saw a few animal displays although not as many this year. 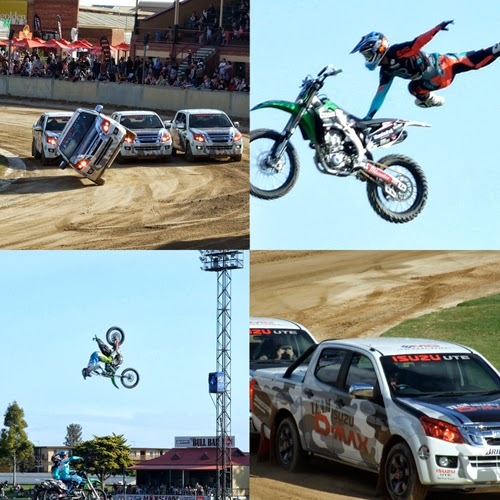 Lots of action in the main arena, we all love the motor cross. 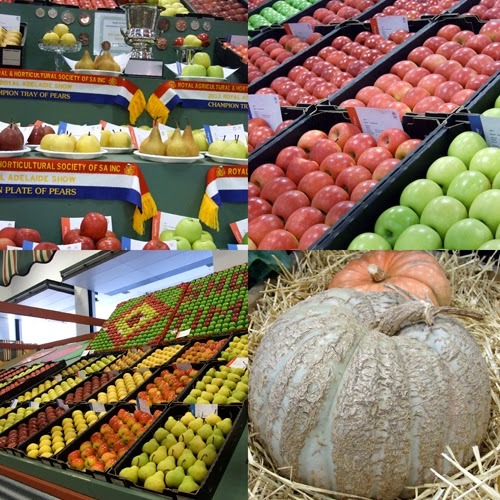 There were many prize wining fruit and vegetable displays. 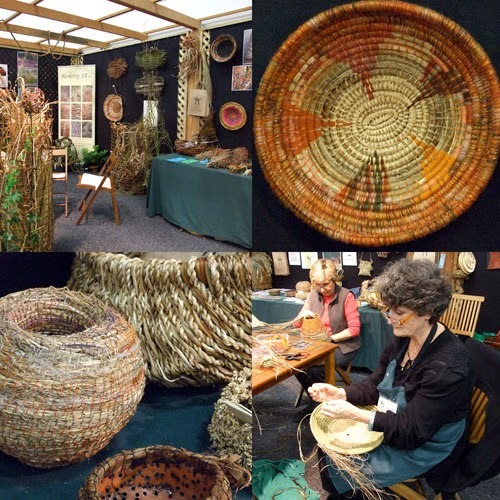 Basket weaving display, I would love to try this! We stayed until the fireworks around 9pm, a very long but enjoyable day.